A Florida man was arrested this week after he allegedly attempted to electrocute his estranged pregnant wife by rigging the front door of his home with a car battery charger. According to the Daytona Beach News-Journal, Palm Coast resident Michael Scott Wilson, 32, used wiring to connect the charger with the inside of his front door’s deadbolt lock and the doorknob handle. He allegedly hoped his wife would put her key in the lock, turn the handle, and suffer an electric shock to her body that local police said could have been deadly. Luckily, Wilson’s wife, who was not named in reports, never touched the door. Her stepfather reportedly became worried that Wilson had done something to its handle after Wilson told his child not to touch it. He stopped by the house to check out the door, according to reports, and found a drawing in lipstick of two eyes and the word, “Hi.” On December 26, he alerted police, who found the electric rigging, comprised of several chairs (including a child’s high chair), a shower rod, and a series of electrical cords. Cops arrested Wilson in Knoxville, Tennessee on Thursday. 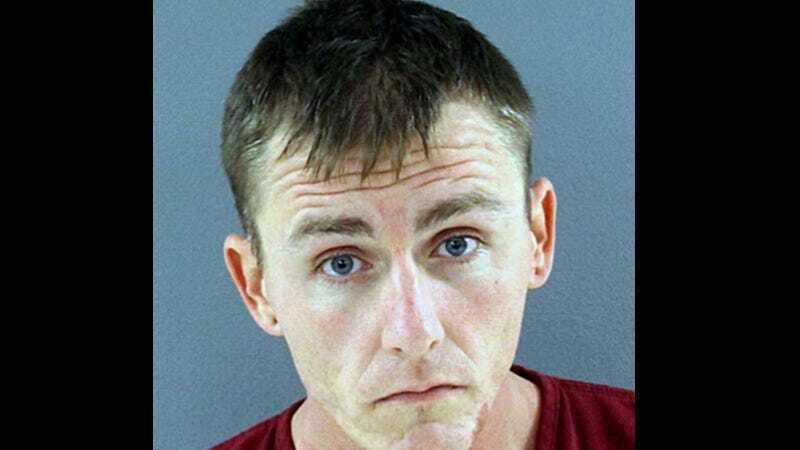 He has been charged with two counts of attempted aggravated battery on a pregnant person, in addition to one count of grand theft of a firearm for allegedly stealing his father-in-law’s gun.